Cathryn and John Sill of the acclaimed About Habitats series showcase the striking beauty and remarkable diversity of the forest biome. 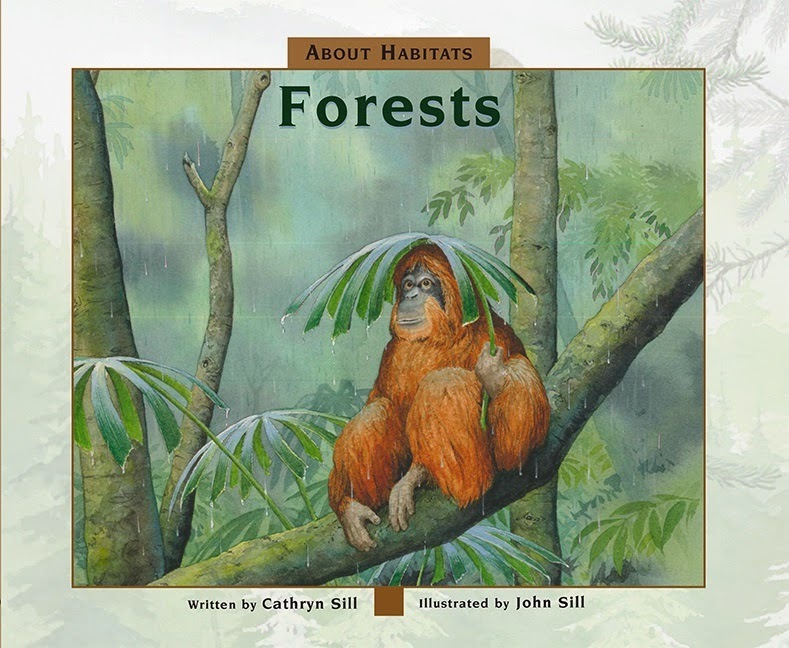 About Habitats: Forests is the sixth title of the series, and describes the characteristics of different types of forests- from the cold boreal forests of the northern hemisphere to the warm tropical forests near the equator- and shows how various species of animals and plants have adapted to life in these habitats. Booklist calls this informational picture book for beginning readers an "effective, gentle, and realistic introduction." Its double-page format features a single sentence in large text describing the importance of forests, while the corresponding full-page watercolor illustrates the information presented. Follow along our Blog Tour!